A storm comes, and trees tumble. What to do? n Friday, June 12th, sometime around 4:30 p.m., Todd Keadle was being urged to take cover in a freezer at the Schnucks on Union. He resisted, however, and made his way through the nasty storm, tornado sirens blaring, to his home in Vollintine-Evergreen. Keadle had made a bet with himself. He won. He lost. Keadle and his wife purchased their home 16 years ago, having been sold in part by the three beautiful oak trees in the front yard. About five years ago, one of the oaks split in two during a bad storm. The tree took out the front porch. On Keadle's drive home during this last storm, he thought about the remaining two trees (the objects of his bet). One stood. The other had halfway uprooted some 15 to 20 feet in the air, missing the Keadles' house this time but destroying a neighbor's garden and taking out a utility pole that blew out power in the area for three days. First, there was the ice storm in 1994, then "Hurricane Elvis" in 2003, and, now the June 12th storm — all felling trees around the region. Suzy Askew, a garden designer and volunteer plant coordinator in charge of plant propagation at the Lichterman Nature Center, pinpoints the three types of trees most vulnerable: large oaks that have reached maturity or have been compromised by previous storms; trees that grow too tall too quickly, such as Bradford pears; and trees that were planted in an area too narrow, such as near a street curb, for root systems to spread and take hold. "It's nature taking care of itself," Askew says. In other words, what will be will be. Askew has a tree in her yard that was damaged by the 2004 storm. "I cannot prevail," she says. Instead, she's planted another tree next to it as a replacement, something she wishes others would do as well. "We need to grow more trees," she says. 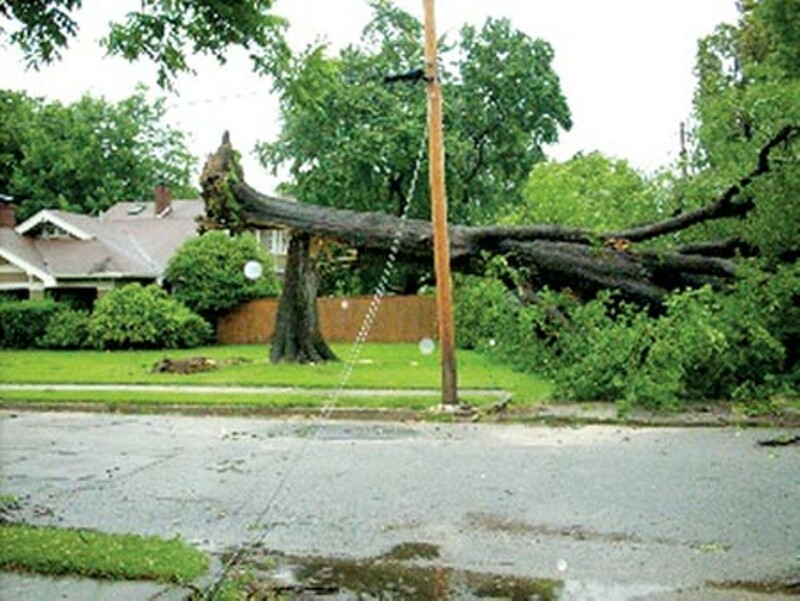 As for keeping still-viable trees from being wiped out prematurely, it's best to seek professional help. Mark Follis, the owner of Follis Tree Preservation and a Ph.D. in agroforestry, says keep the trees trimmed. "In nature, trees are surrounded by other trees so that they don't take the full brunt of the wind," he explains. When trimmed properly, trees are better able to take the strain. Second, occasionally fertilize the tree. Trees need food but too much is bad a thing. Third, be careful with root systems, taking care not to overmulch or damage them with construction projects. Mitch Harrison of Harrison Tree Service recommends that trees be inspected by an International Society of Aboriculture member once a year and says that during the summer, trees should be watered two or three times a week for at least two or three hours. Otherwise you're just watering the grass. For those now living in tree-fear and who are considering removing trees to avoid a catastrophe, it's probably not worth it. Taking down a tree, particularly a large oak, is cost-prohibitive, "thousands and thousands of dollars," Follis says. Plus, Plato Touliatos of Trees by Touliatos says it's hard to know when a tree has fully aged. Removing a tree that hasn't reached full maturity is, he says, "like you take the average male and you shoot him!" 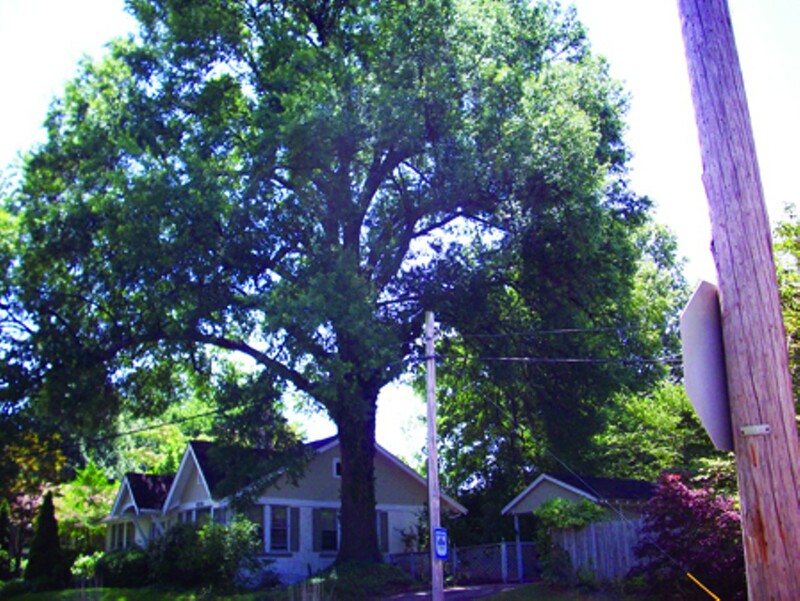 Keadle is considering removing the third oak in his yard and planting two more. He is happy about one thing. "Thankfully," he says, "no one was hurt.